Current representative: Rep. Roger Hauck (R-Mt. Pleasant) is the current representative for the 99th District. It includes Isabella County and a portion of Midland County. 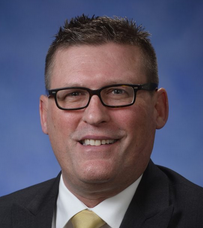 Hauck was first elected to the Michigan House in November 2016, taking office in 2017. Hauck was previously a Union Township trustee. He and his brother own a small business building duplexes around the township, according to his campaign website. According to House Republicans, Hauck is vice chair of the House Energy Policy Committee and a member of the Health Policy, Regulatory Reform and Local Government committees. A look at the 99th House District is here. Rep. Hauck raises money through a candidate committee, Committee to Elect Roger Hauck.